I Just Love dressing my children up in formal clothing, it's something about big poofy, sparkly dresses that makes my heart swoon! 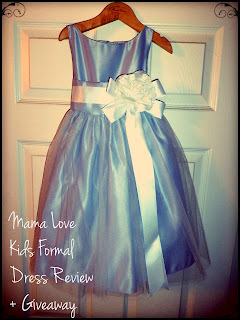 So when I found out that I would be reviewing (and giving away) a gorgeous dress from Kids Formal I was just plain giddy! "At Kids Formal you will find the perfect formal attire for the smallest members of your family. 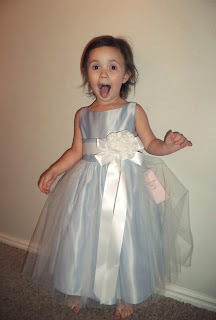 We offer a wide variety of formal wear for kids including: boys tuxedos, boys suits, flower girl dresses, heirloom dresses, pageant dresses, communion dresses, Christening dresses, party dresses, special occasion dresses and so much more! Kids Formal has been a family owned business located in Chicago, Illinois since its doors were first opened in September 1988. We specialize in providing our customers with the exceptional children's formal wear they are looking for. We are confident you will find just what you need at Kids Formal, whether you are shopping for the perfect flower girl dress, a formal tuxedo, Christening dress or the exquisite pageant dress for your little beauty queen's upcoming event! Whatever the occasion, we've got it! 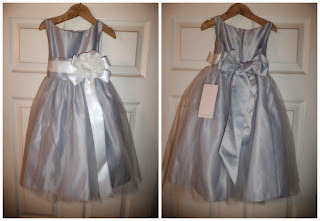 It's no secret that quality formal wear for children often comes with a hefty price. However, we take great pride in providing our customers with children's clothing that is both stylish and of exceptional quality without charging a small fortune for it. In fact, our prices range from 20%-50% below the retail price! Once you place your first order with us, you will find yourself coming back because our merchandise is even more beautiful in person. Enjoy looking through our site, and feel free to contact us with any questions you may have." This dress is simply lovely! It's beautiful, the color is fantastic, and I can tell that this dress is quality made and will last us a long time! This stunning dress is elegantly tied together with a gorgeous sash that ties in the back & is finished off with a large flower! I can see this dress taking us through many special occasions, like birthdays, weddings, and my favorite the upcoming holidays: This would make a perfect Christmas Dress!! 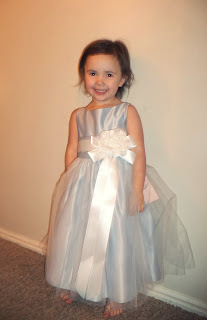 My daughter is absolutely in love with her dress, she calls herself a princess when wearing it! Buy It: Purchase your own special occasion children's clothing from Kids Formal online! Use the Rafflecopter below to enter, good luck! Wow!! all the dresses are beautiful. I love the Purple velvet stretch and sequin dress. I like the girls' pink three quarter sleeve lace dress. SO pretty. I simply love the renaissance dress. it is just too cute. i love the girls velvet and taffeta stripes dress--but the gold sequin dress is so pretty as well!!! My daughter would go crazy over the girls ruffle skirt pageant dress in plum!